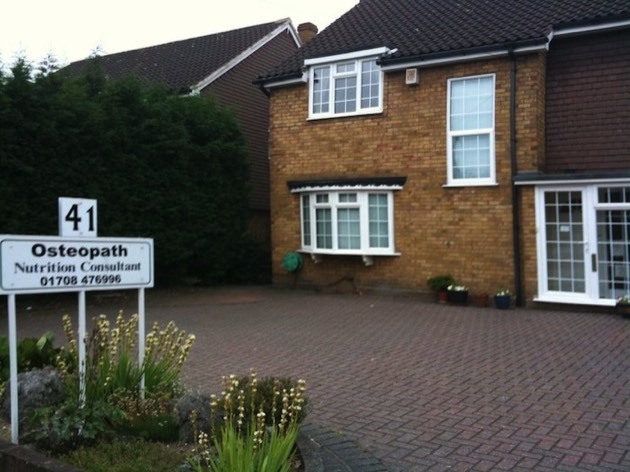 The Hornchurch Osteopath Clinic was established in 2001 and has served more than 2,000 patients in the local community. Hornchurch Osteopath Kevin Gill provides a quality of treatment that will help you recover from pain and dysfunction. Ardleigh Green Osteopaths offers a range of services to patients from Hornchurch, Romford, Upminster, Rainham and the local surrounding areas. It is our sim to get you back to health at the earliest opportunity. Ardleigh Green Osteopaths’ reputation is based on eliminating delay in your recovery. Our patient list is enhanced by recommendation and referral from satisfied patients. The careful case history taking and the examination process that we undertake will establish whether or not we can treat you. You will get an honest appraisal and, if necessary, a referral to another medical professional more suitable to your condition. Osteopathic treatments consist of gentle manipulation and stretching of the muscles, ligaments and joints. Treatment is not painful and rarely uncomfortable. Osteopathy is now recognised as an effective treatment for a wide range of painful disorders. It helps restore the function of the musculoskeletal system (joints, muscles and ligaments). The aim is to relieve pain and get you going again as quickly as possible. Patients of all ages can obtain benefit. The treatment is tailored to suit each individual. For more information about booking an appointment with an Osteopath Hornchurch, please contact us. We welcome patients from Hornchurch, Romford, Upminster, Rainham and all other local areas.